Combination of Oracle UCM 11g and Oracle WebCenter/ADF 11g technologies will help you to implement document management applications. There is a special area you should keep in mind - security. 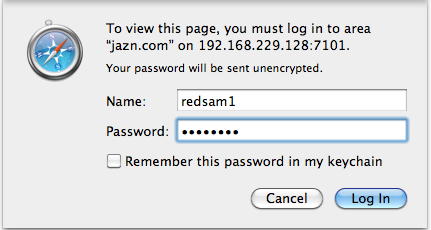 Sometimes is not too obvious and can make your system open for hacking attacks. 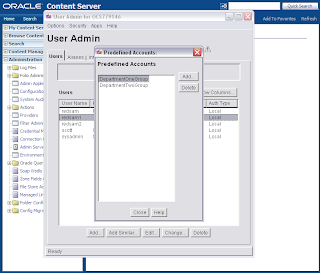 I will describe possible scenario how one user can view all documents and how to prevent this with UCM security accounts, if tight security must be enabled for your system. 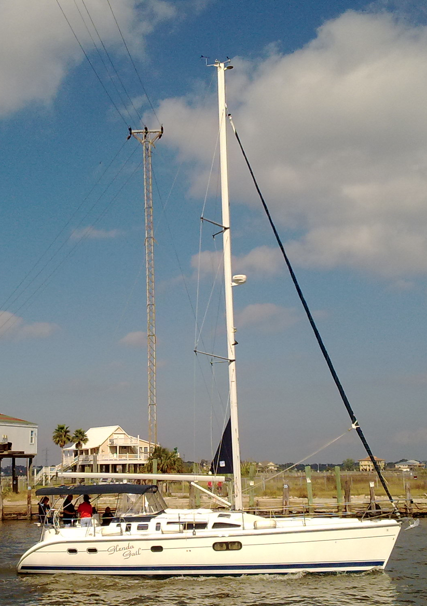 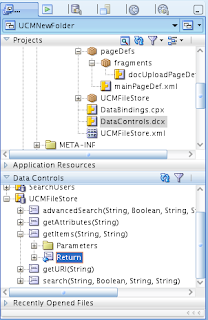 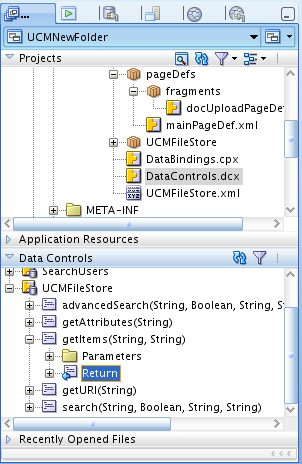 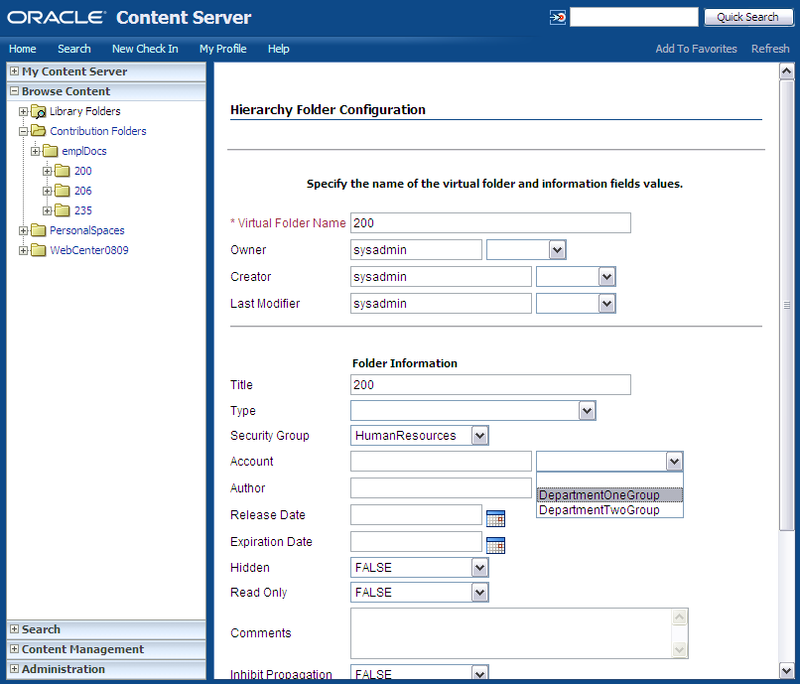 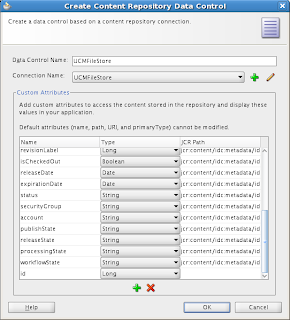 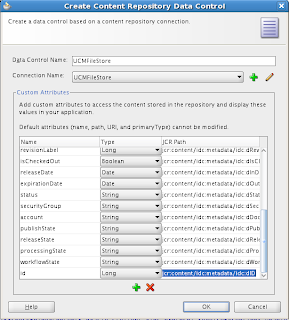 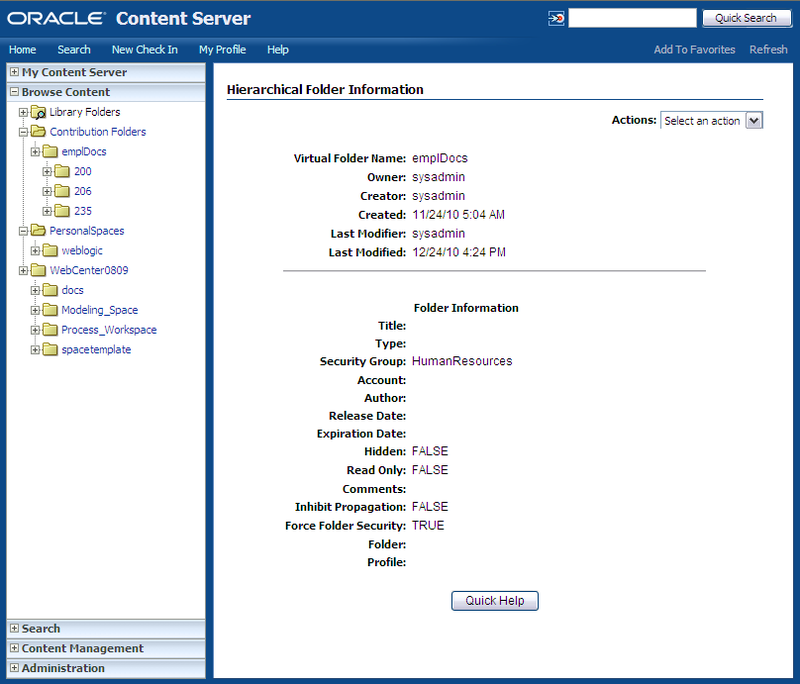 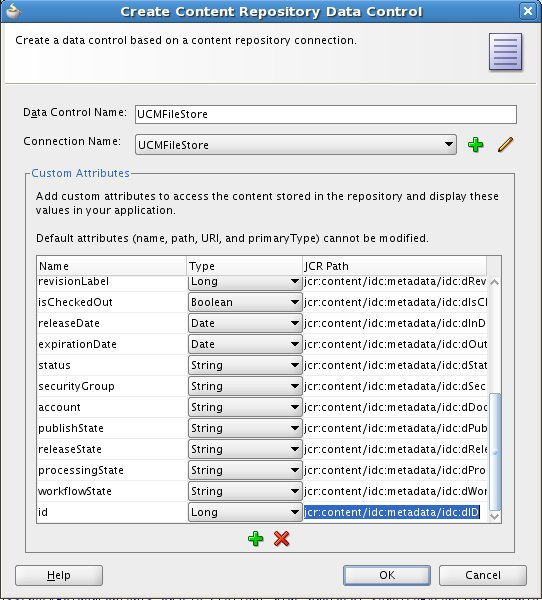 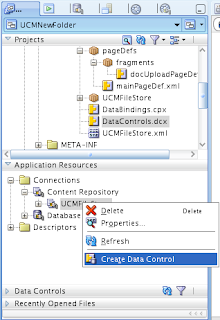 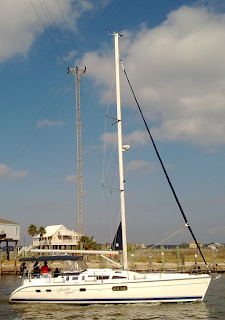 Download sample application for this post - UCMNewFolderDC.zip. 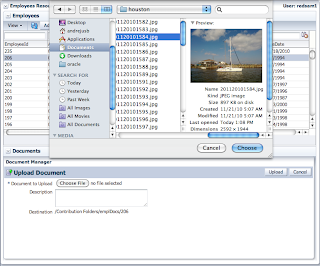 If documents stored inside different folders share common security level, it is enough to apply only one Security Group - then users assigned with that Security Group will be able to browse through those folders using URL path. 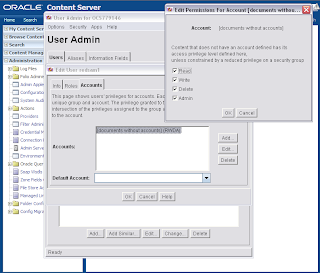 However, if users of the same Security Group are not allowed to browse through other users folders, additionally to UCM Security Groups, we need to apply UCM Security Accounts. 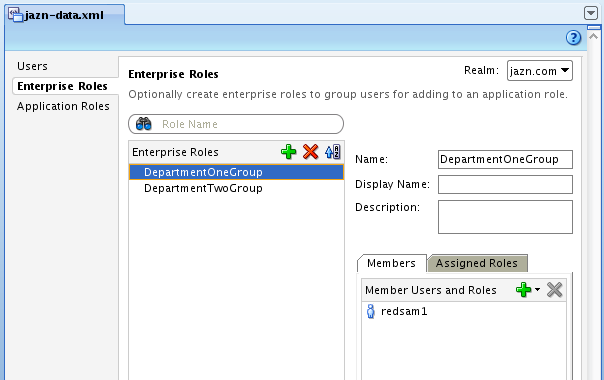 In theory, we could have different Security Groups for different users, but then we will end up in too many different Security Groups. 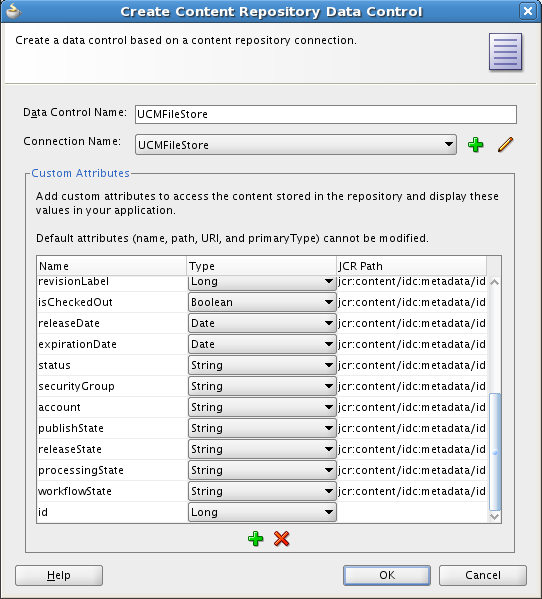 This means, we should apply intersection between Security Groups and Security Accounts in UCM Content Repository. 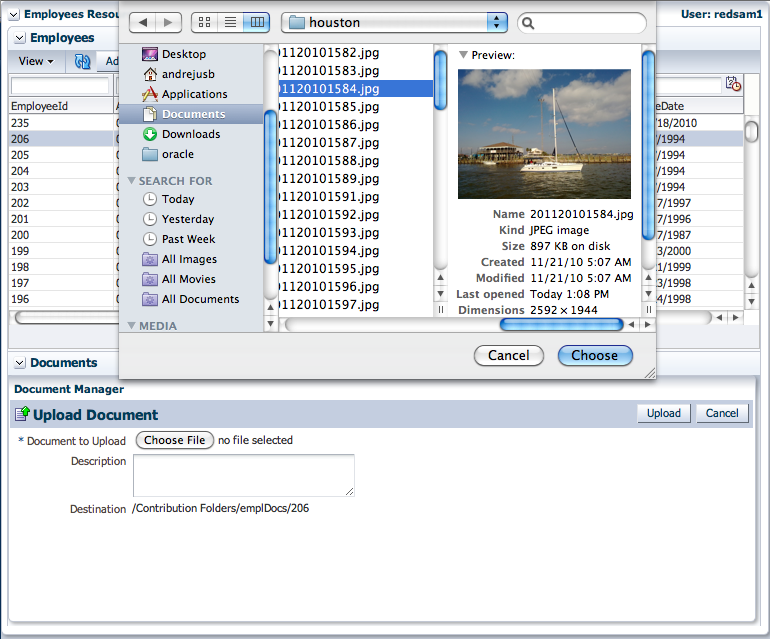 Folder #206 is granted for DepartmentTwoGroup account. 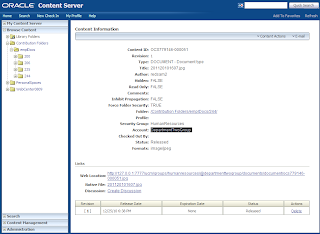 Our experiment is successful, combination of Security Group and and Account allows to prevent users to open unauthorized folders, even they are granted with the same Security Group. 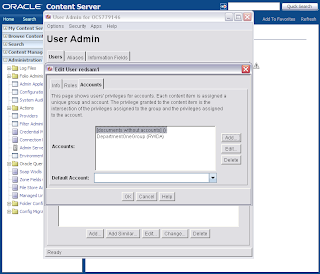 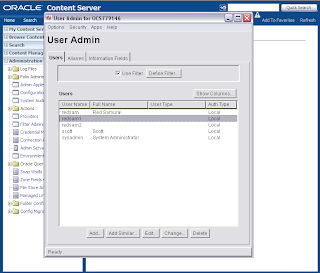 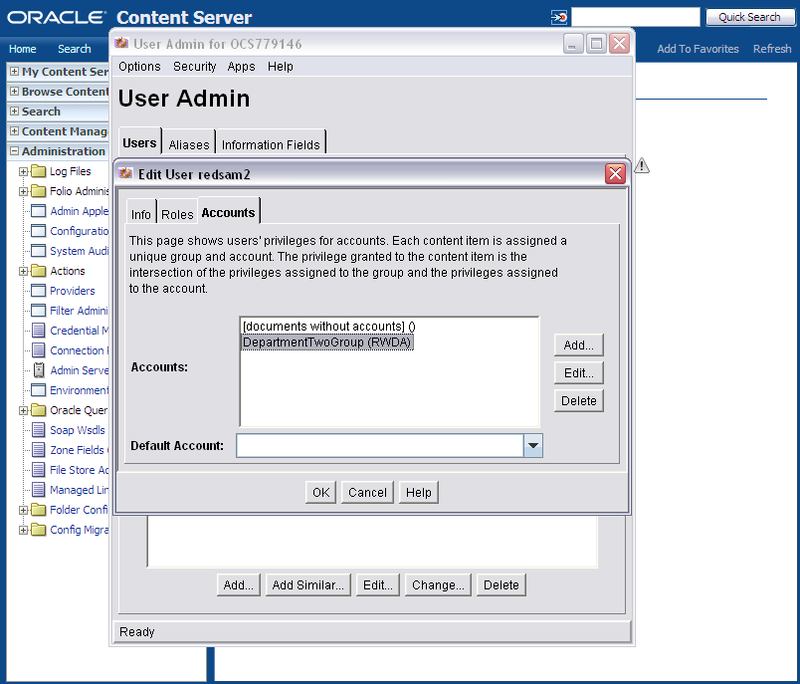 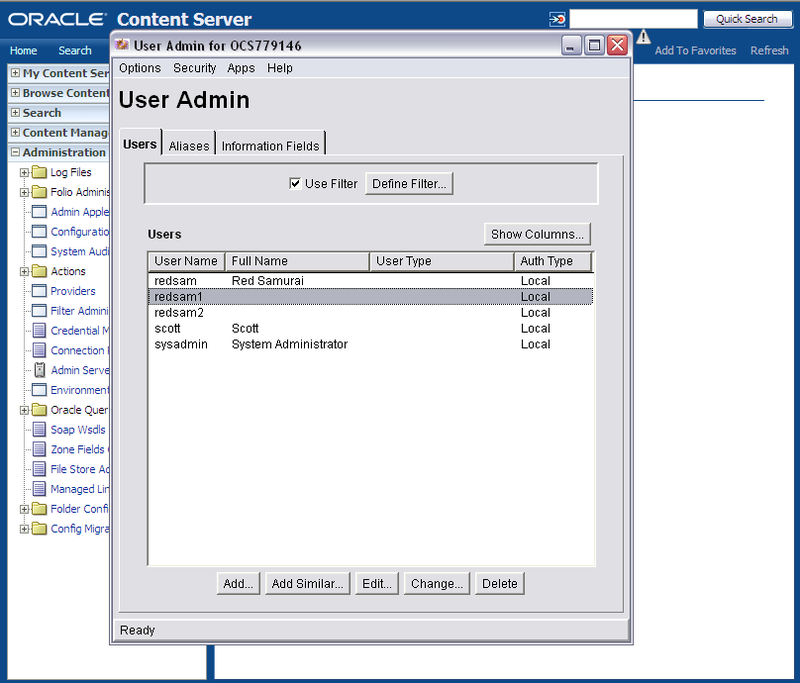 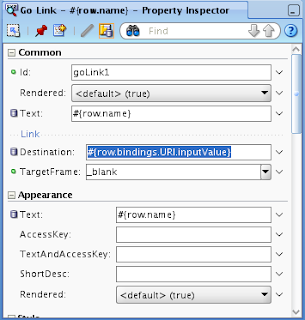 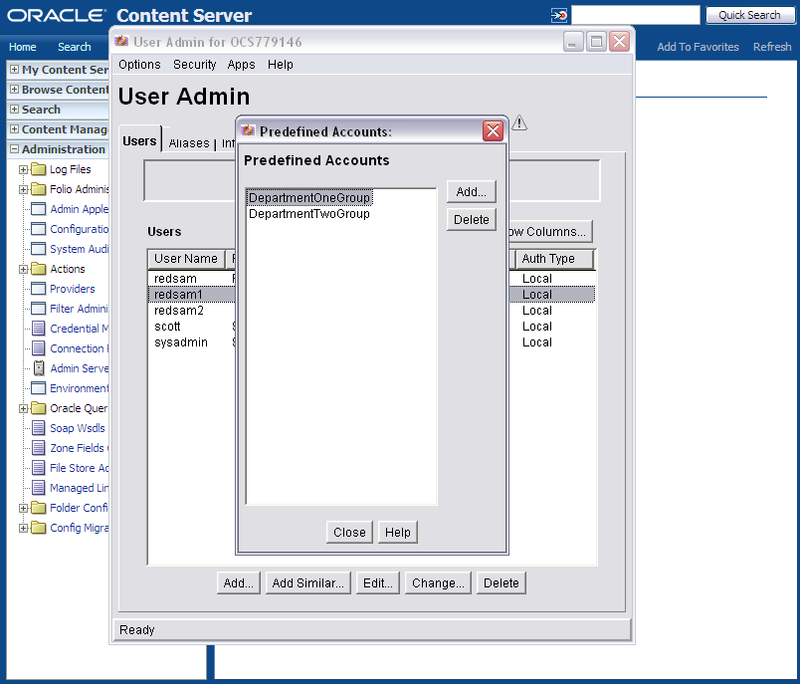 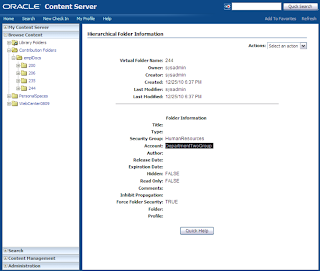 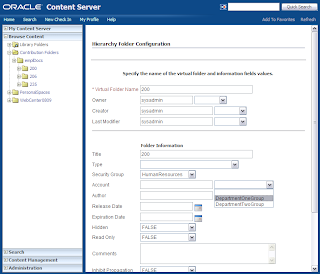 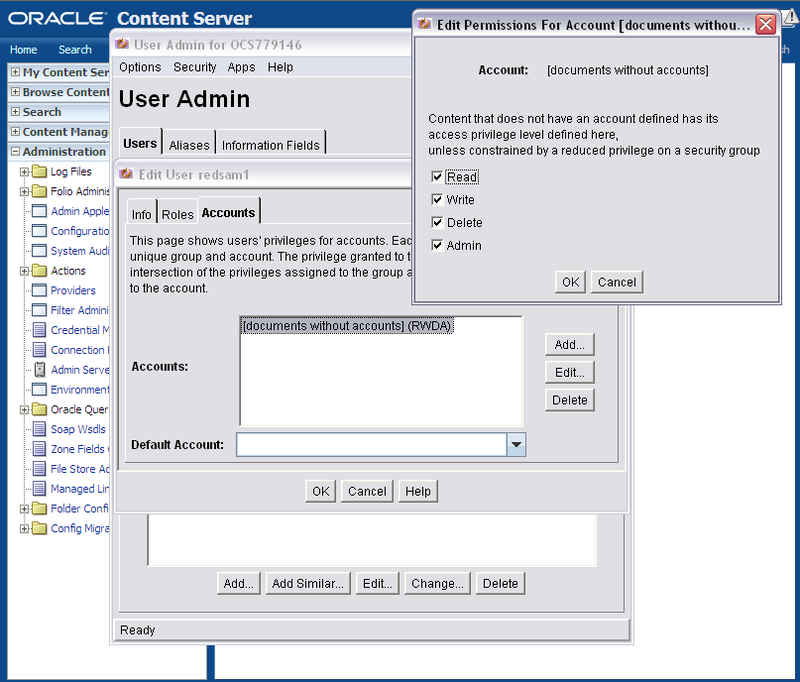 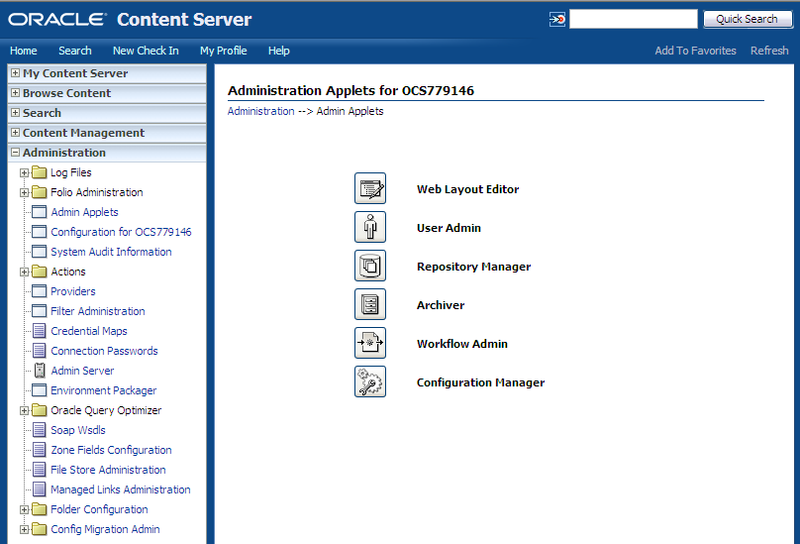 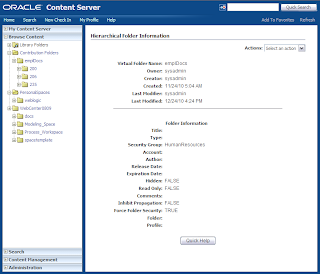 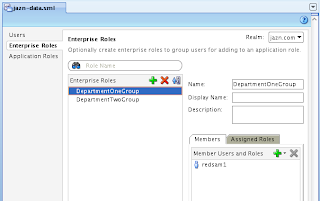 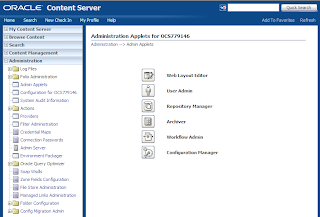 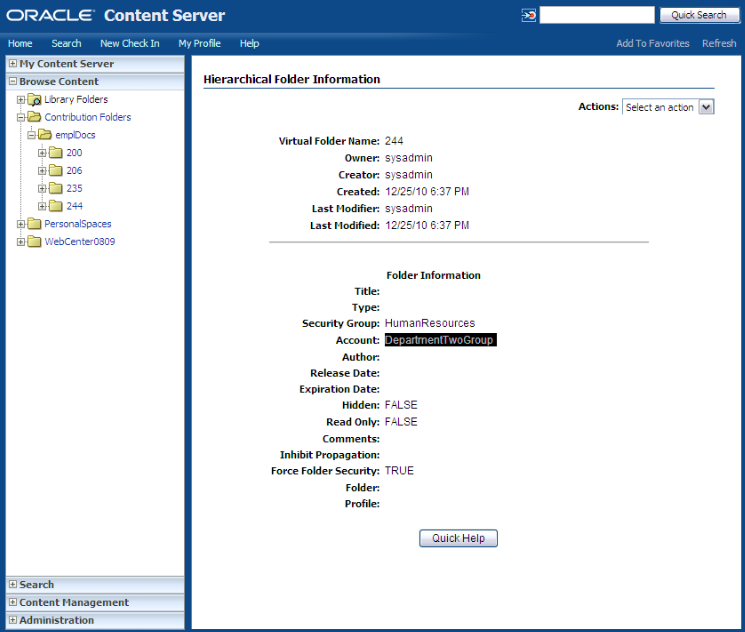 Oracle WebCenter 11g provides out of the box ADF task flows for Oracle UCM 11g content repository management - Oracle Universal Content Management 11g and Oracle ADF/WebCenter 11g Integration. 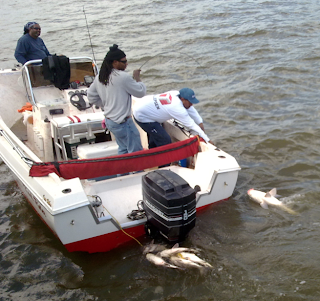 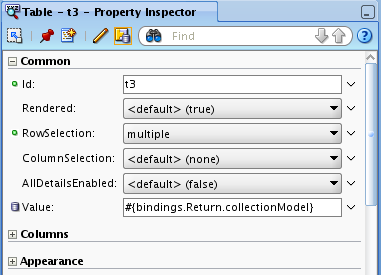 It might be not enough, especially when implementing custom solutions. 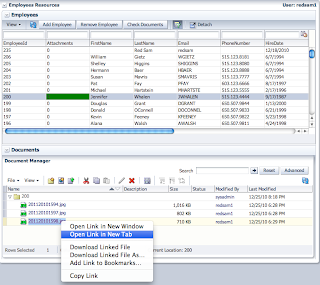 For those custom cases, we have option to define Data Control connection and retrieve information about stored documents through Bindings layer. 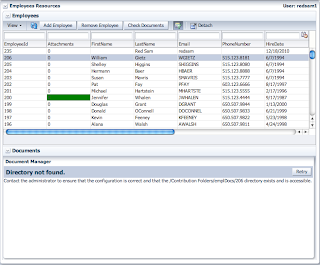 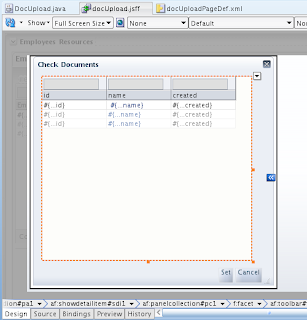 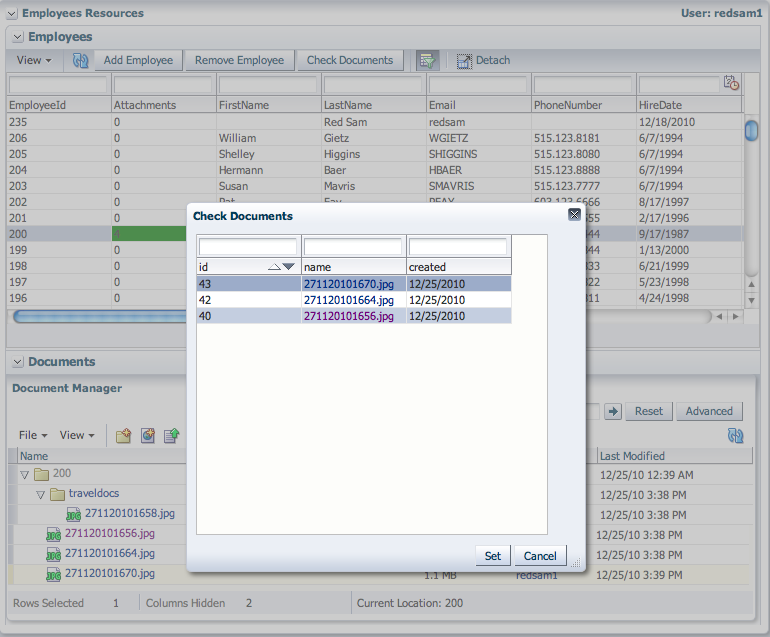 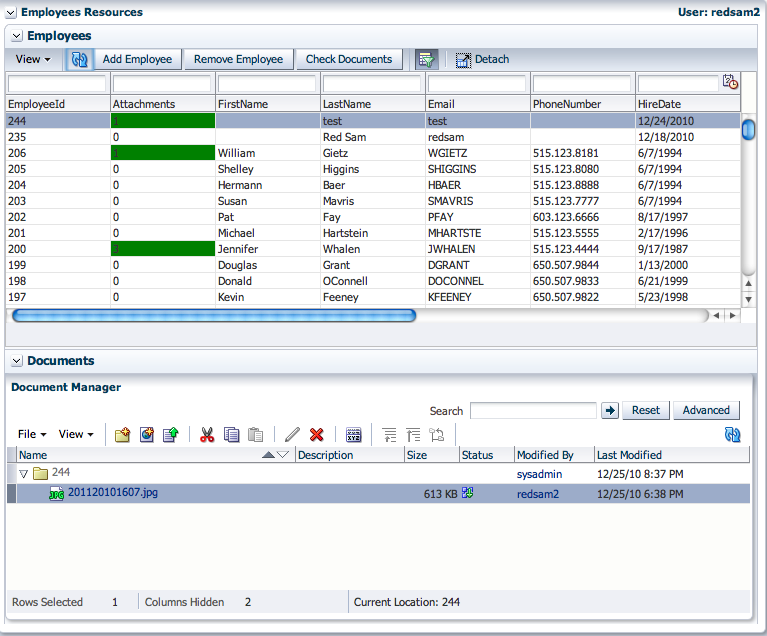 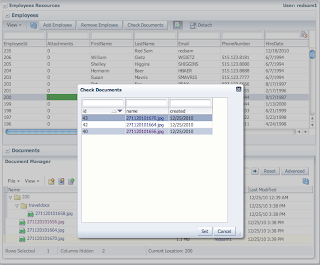 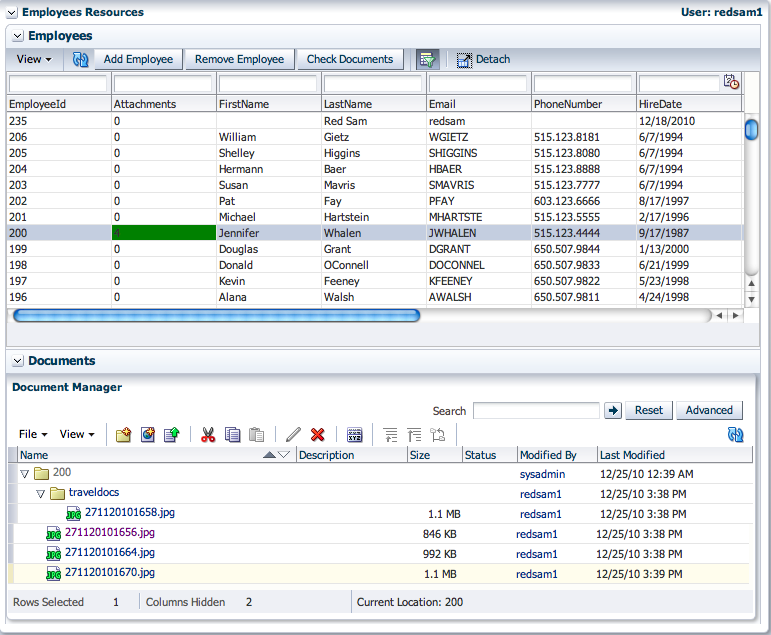 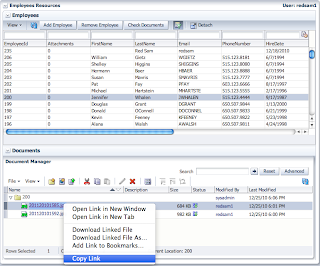 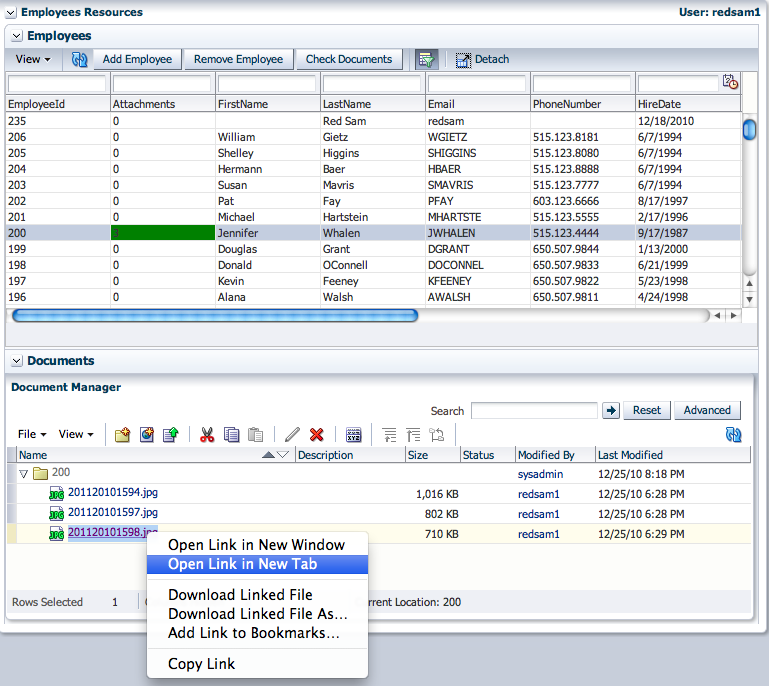 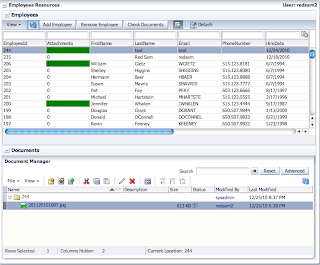 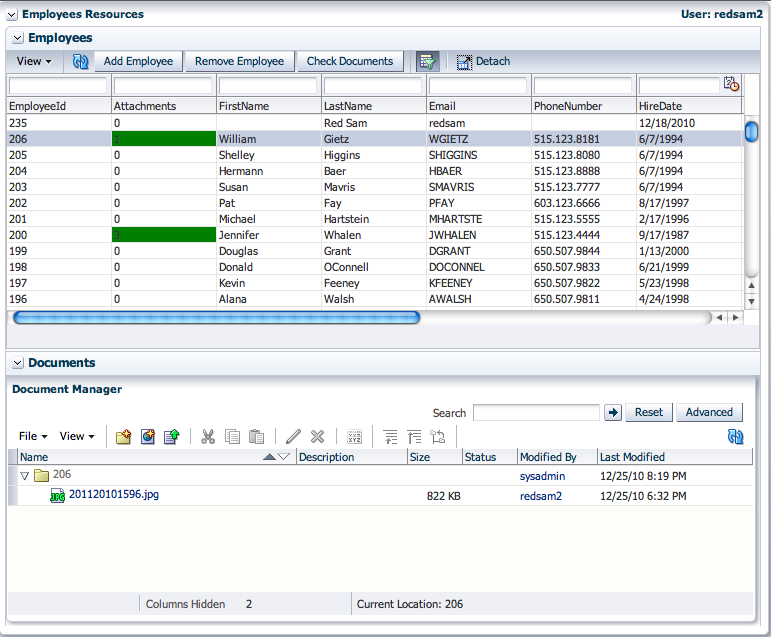 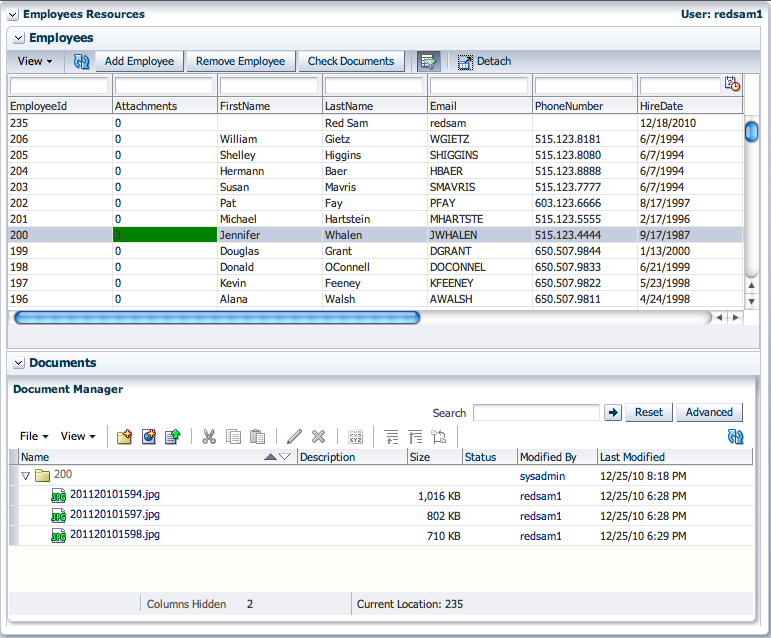 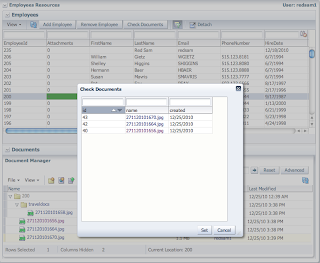 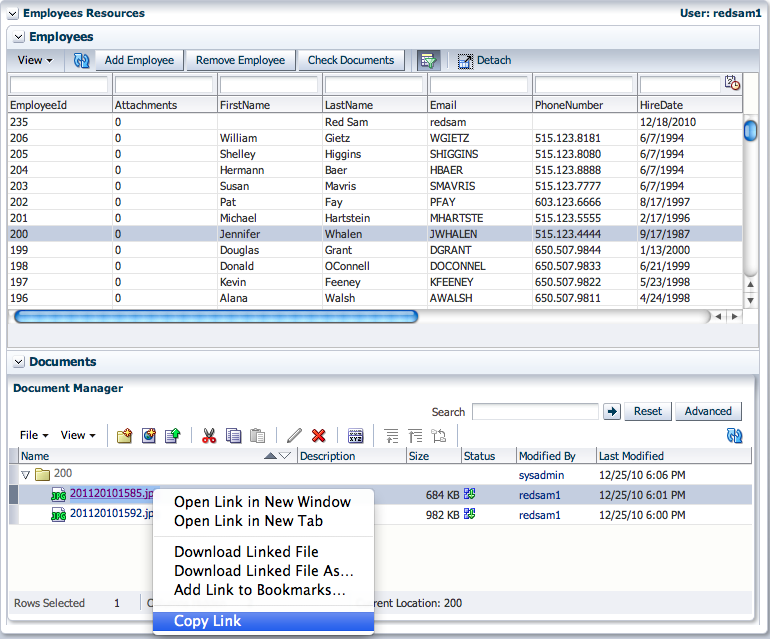 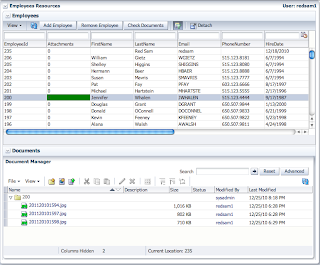 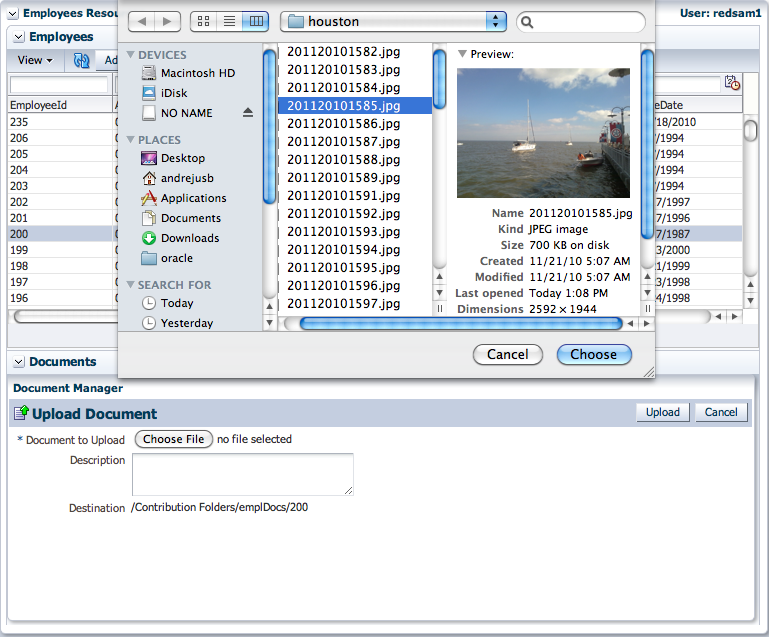 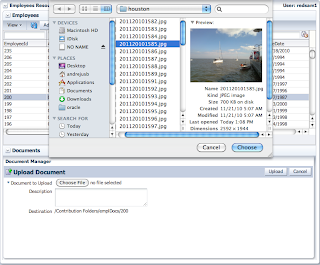 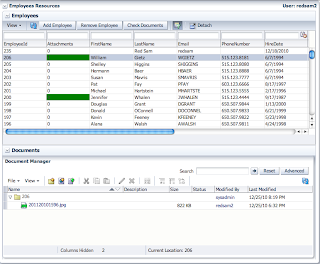 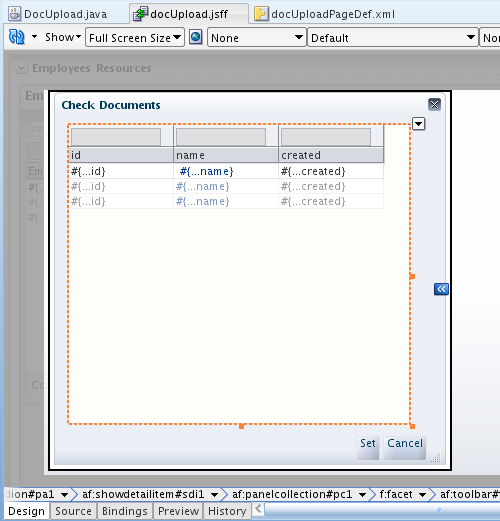 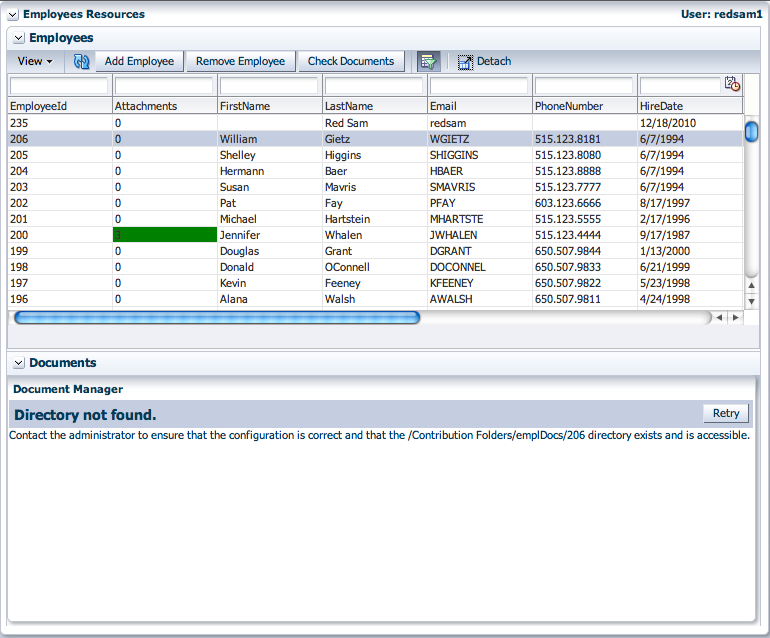 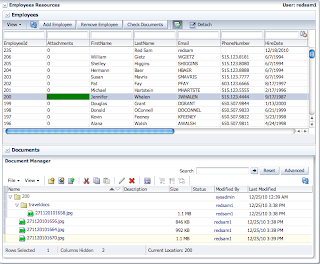 One practical use case - select and retrieve ID's for the selected documents, store those ID's into database table. 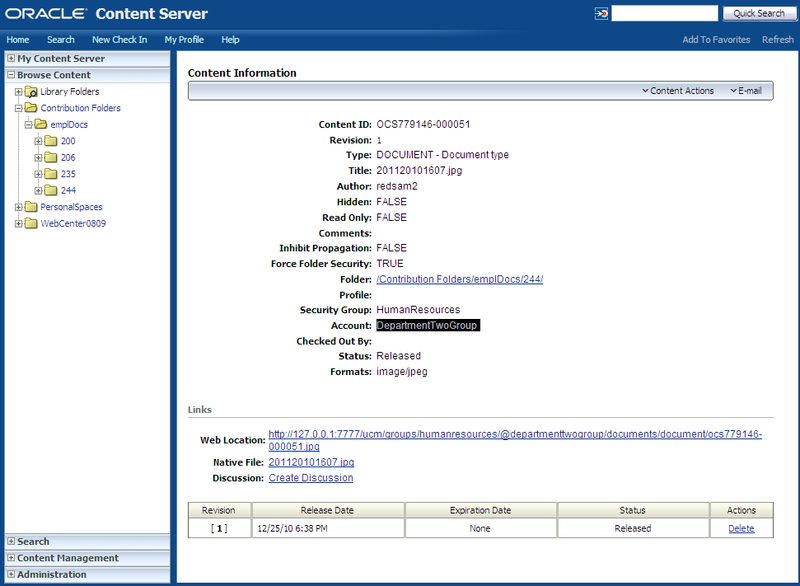 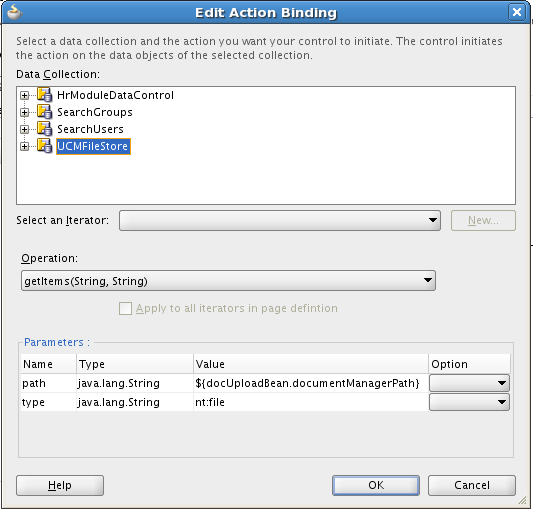 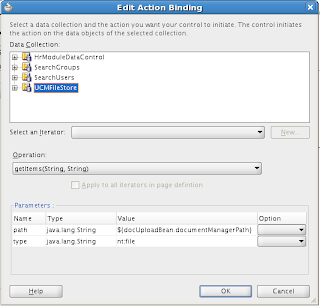 I will describe in this blog, how to retrieve selected documents ID's from Data Control defined on Content Repository connection. 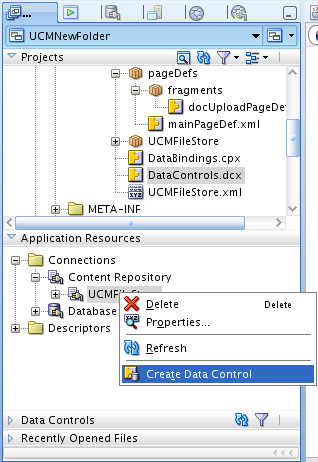 Sample application allows user to select documents from custom list-of-values screen and retrieves ID's of these documents for future processing - UCMNewFolderDC.zip. Otherwise, it will return always only one selected key. 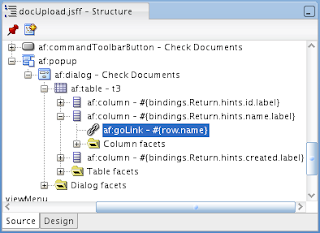 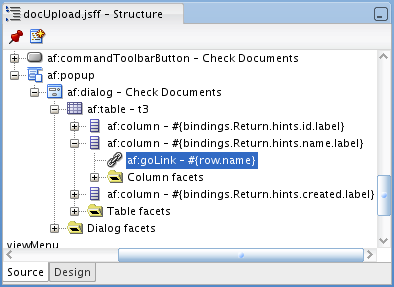 Based on my blog post from 2007 for ADF 10g, seems like some things never change - Multi-selection feature and ADF Faces af:table component.